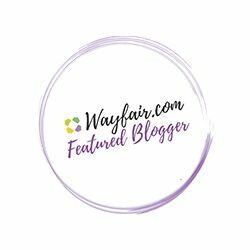 Feature Post of Carolyn and La Cartera! 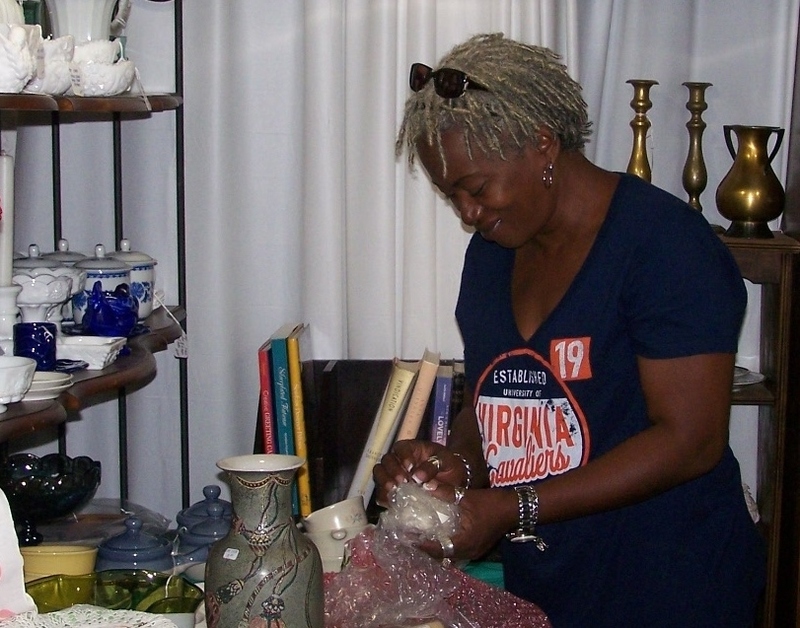 Carolyn found her passion in antiques and collectibles. 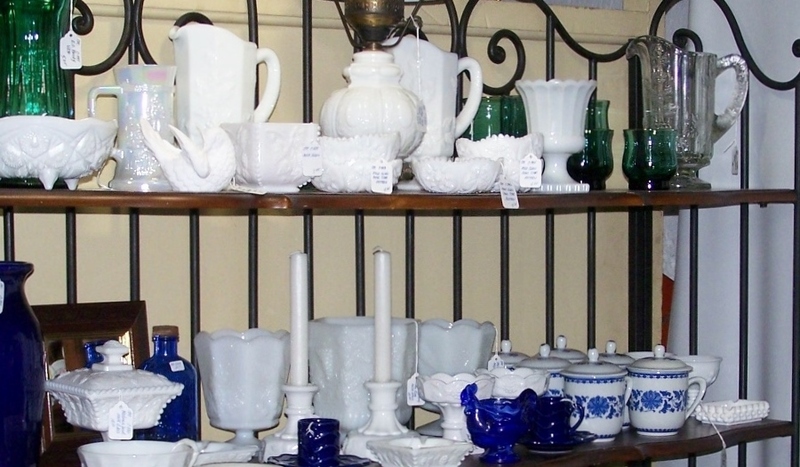 She adores her milk glass finds at estate sales, auctions and flea markets. 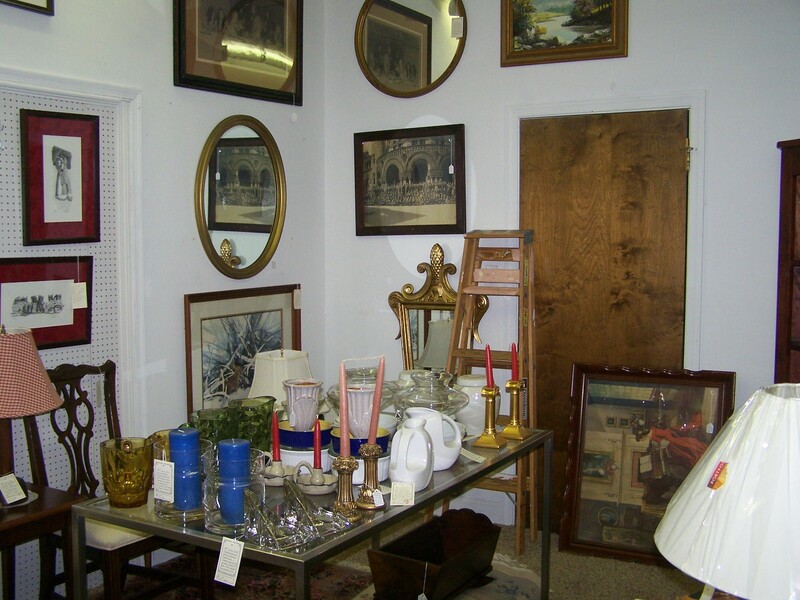 Not wanting to be just another collector, she decided to sell her great finds at Bell Treasures. After a year of selling her goods in the basement level of the shop, she is now expanding to the first floor where she will create her own little boutique. 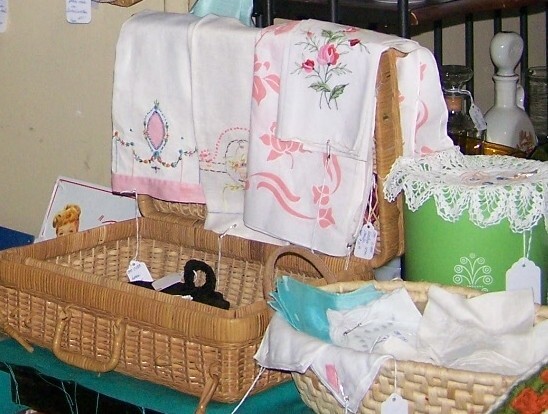 The tea towels and antique women handkerchief’s are very popular. The new space has lots of potential…We are waiting for the previous owner to move out of the space. That’s right “We”…soon to be home to La Cartera too! 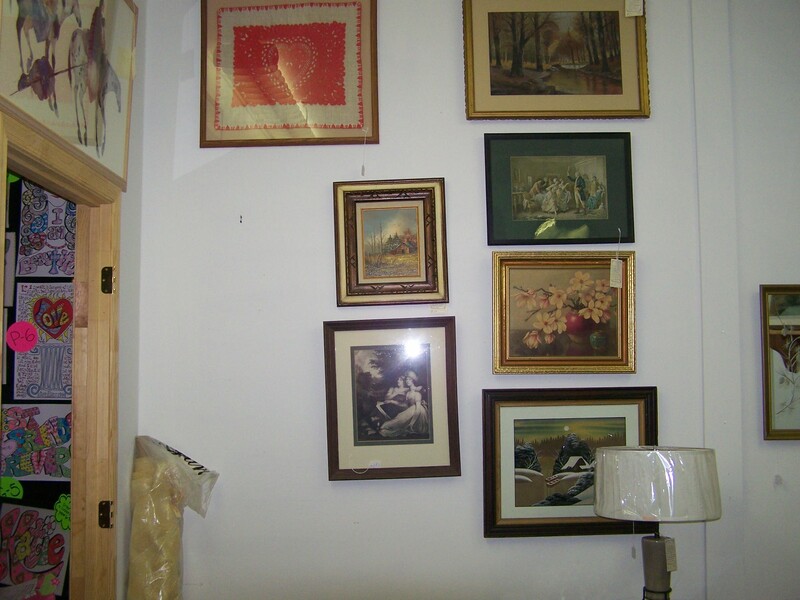 We plan to share the space… Here’s the before picture of the wall space for La Cartera! October 1st, I move into the new space. Previous Post Fall Collection! Is it a Hit or Miss? Next Post Boho-Chic Purse: Hit or Miss? Fassion (Fashion + Passion) !!! Sheila, how exciting to be moving into a store. I wish you all the best on your new ventures. I didn’t know you’re in Bedford. Next time I head towards the mountains I will stop by the shop. Thank you! I visit Bedford often and have lots of family there, so it seems like a perfect fit! Please stop by anytime. 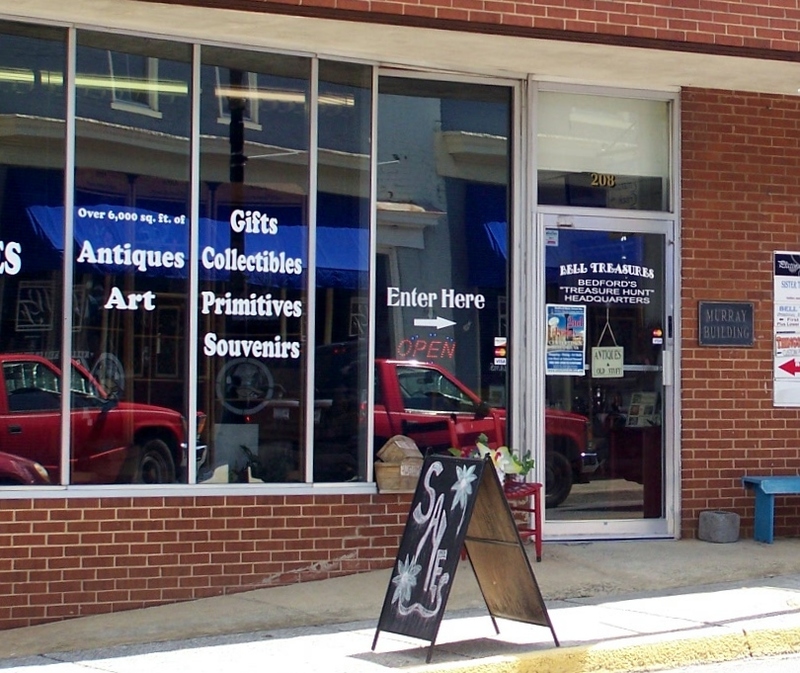 How wonderful to be having a new store for your wares. Congratulations and good luck with your new venture. Thank you, Diana! I am totally excited about the store! I also love collecting and antiques, but my main passion is creating art from some of my vintage finds along with “junk” castoffs to be recycled. So awesome that you have found an outlet for your passion, that brings an income. I too am aiming for a booth in a local market, but right now I am solely aiming to create artworks and gather enough other vintage items to start up my own brick and mortar. Best of luck to you and your new endeavor! Brenda, it sounds like you have a great plan! I wish you much success and best of luck in your endeavor too! How exciting for you! It’s never too late to find your passion. Looking forward to the pics when you move in. Good luck to you and Carolyn sounds like exciting times just around the corner! I wish I could go and wander this lovely Boutique! You can see the love and care that’s put into each piece. Thanks so much for sharing! How wonderful to have your business grow! The new space is beautiful – congrats! Thank you, Susan. We are taking baby steps right now, but it’s so exciting! What a FUN job! I could do that, too! all Day! but, right now my passion is FABRIC! Denise I’m with you… I love fabric too! My Passion, It Works! Building my business! But I also enjoy painting and want to do more with my art….that’s a near future project! The glass pieces pictured here are beautiful! Can’t wait to see the pictures when you move into the new space! Janine, you’re doing a great job with “It Works! I’m all thumbs when it comes to painting, I can’t wait to see your creations in the future. oh I just love treasure hunting! you never know what you’ll find!